Recently a friend ordered this driveshaft for me from Tamico. Shipping was lightning fast as ever. 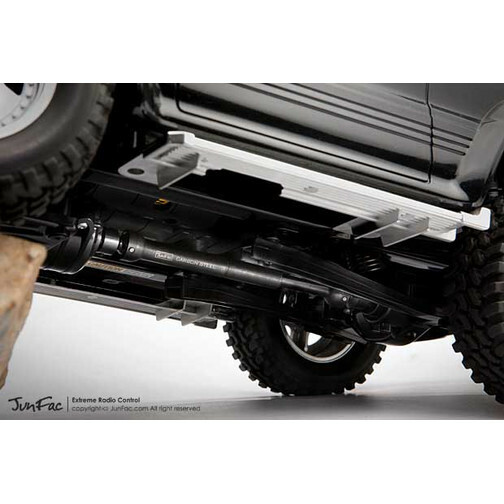 The Junfac driveshaft is nice and robust but is not right for the CC01 midwheelbase (Toyota FJ40). 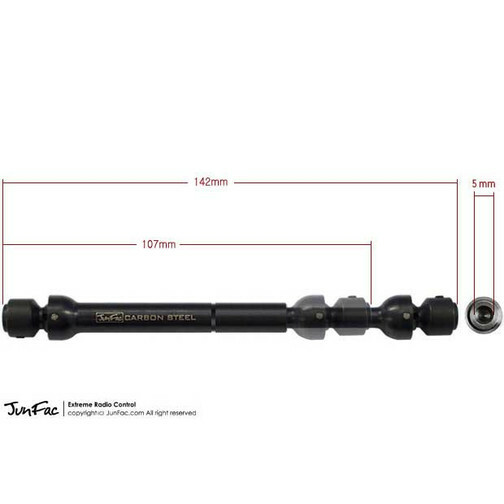 The two driveshaft parts only have about 5 mm to connect. 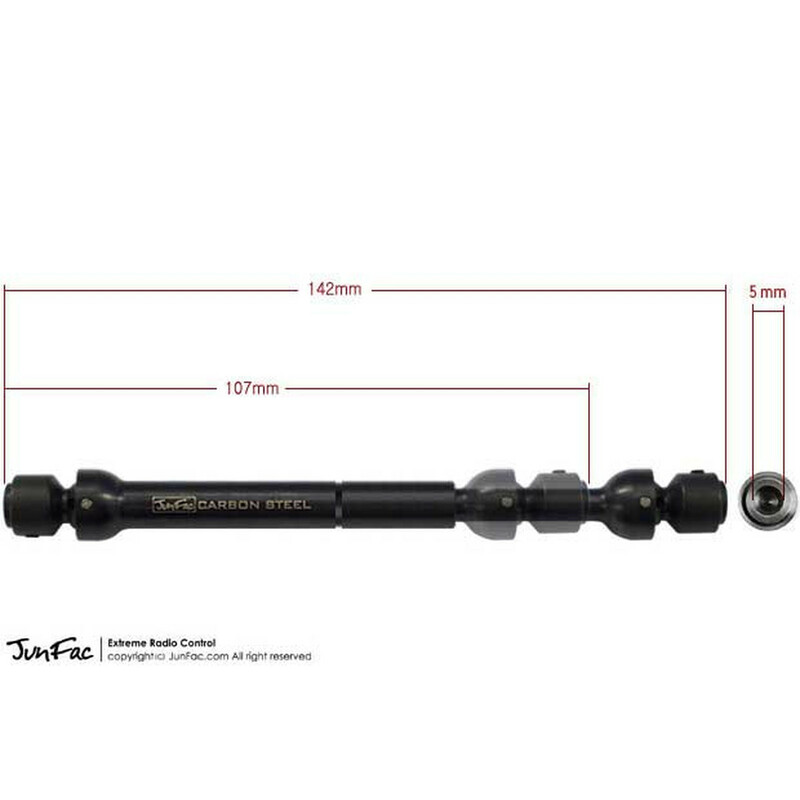 The total length of 142 mm is to short. 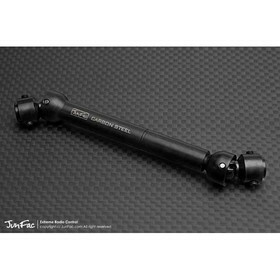 As a result the driveshaft is very wobely in the middle and causes unbalance and noise. A better option is to order the longwheelbase version I guess. This version is only for the shortwheelbase version. The Original Tamiya driveshaft is reinstalled. Have to do with that.